Picking a domain name is a tricky business. Unless you have lots of practice, it's not easy. Here are my suggestions for you to consider as you pick a domain name for your website and online business. First, don't wait to get to work until you have the perfect domain name picked out. Settling on the proper name for your niche business or world-conquering corporation may take months if not more than a year. Did you know Google started out as Backrub? Yuk. Or that Amazon started as Cadabra? Bezos changed the name to Amazon a few months after founding the company when a lawyer misheard the name as Cadaver. Double yuk! The point is, get to work. Later down the road, you can set up what are called 301 redirects that point old URLs to new ones if you change the name. It is not a huge deal. (If you wanted you could also set up your posts and pages to "no index" which means Google won't pick them up and index them while you are just getting started, though I wouldn't bother with that). But if you sit around agonizing about a name, you won't be doing the real work of creating your product(s) and learning how to market them. Ok. So you know you have to get to work. Next, I have some irksome news for you. Get ready to be annoyed. Why? Because the domain name squatters have locked up almost every name you can think of. What's a domain name squatter, you ask? They are the people and companies that make a living by simply locking up attractive domain names and waiting to sell them at a significantly marked up price. It is super annoying, but hey I guess everybody has to make a living. So what should you be thinking about as you pick your domain name? Here we go. 1. Most importantly -- yes, most importantly -- think about if you will be comfortable saying, writing, regurgitating, commenting upon, promoting, and generally using this domain over and over again for years to come. Be careful about picking a gimmicky name that you think will work, but that you will get sick of. You want a name that you can be in love with seven years from now, ten years from now, longer. 2. Be aware of strange letter combinations that spell odd words. For example, I once considered establishing a domain name under thethreeskills.com, but when I realized that the word "kills" was in there, I decided to go against it. The word sort of jumps out at you once you see it. Watch out for unintended vulgarities as well. I was going to pick a domain that started with "minty" at the start, but learned that this can be a derogatory slang word in the U.K. Just didn't want to deal with it. So keep that in mind. What else are you accidentally spelling or saying? 3. Similarly, it's a little awkward when you have three letters or more that are the same in a row -- like thrilllimits.com. You get all those L's in there, and it just looks strange. 4. Okay. Another thing to keep in mind is that generally speaking you should shoot for a .com ending. This is extremely frustrating because all the .com's are gone, but you just need to keep looking and keep trying and you will find something. Next best are .net or .org. Don't mess with anything else beyond those three (unless you are in a country and want to lock up that specific country's TLD). 5. You might be tempted to try to use a hyphen in there to get your .com. This is, I suppose, possible but not ideal. Keep looking. 6. Another consideration is that you want to have a short domain name that is easily memorable. Something that is just two or three syllables if possible or maybe four. So that people will easily remember your site. 7. You also want to make a quick Google search and see if somebody has a business already set up with a very similar name. Go Google it and take a look. 9. Similarly, check at USPTO.gov, search their Trademark Database, and see if anyone has trademarked the business name you are thinking of. 10. What about your personal name? This is a great option if you plan to be the face and brand of your website and business. TomJohnston.org is honestly just a side project for me, where I post entries about my journey into entrepreneurship. For bigger projects like MightyInvestor.com, I personally shy away from using a my name. Why? Because as the business grows, if you ever want to sell it or expand it, having everything branded in your name means you always need to be front and center. MightyInvestor.com is a perfect example. This business could eventually be run by someone else. But if everything takes place under my name, that could be a problem. 11. Should you pay to purchase a domain name? Maybe. If you are a venture-funded startup with massive ambitions, it might make sense to drop a few thousand dollars. But for most, especially those at the beginning of the entrepreneurial journey, I suggest that your funds are better spent actually building a business. 12. Also check the Open Site Explorer tool when you are picking a domain name. Just plug in the website you are considering and check the results. If the "spam score" is off the charts or if you see a bunch of weird looking links pointed at that domain, beware. If everything is showing up as "domain authority" and "page authority" coming up as "1" or something low like that, you have a pristine name--and a lot of work ahead of you ;). Above All, You Better Love That Domain!!!! So that's it. 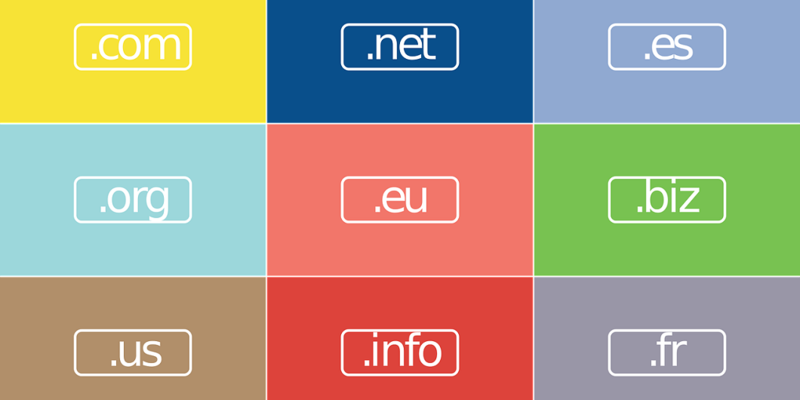 Twelve Key Factors to keep in mind when picking a domain name. Above all, ask yourself if you will enjoy speaking, writing, and dreaming about these words. Will you be sick and tired of typing some word or phrase five years from now? That clever little pun may not be so clever the thousandth time you write it….